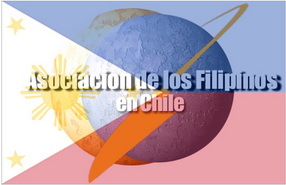 For Filipinos currently working or residing in Chile and for all who may have had acquaintances, have stayed in Chile for a while or may have any interest whatsoever with the Filipino community in Chile, welcome to our online forum. This is one place we can keep in touch anytime, anywhere. Mabuhay ang Filipino! 13 38 Hello, Magandang umaga po sainyong lahat dyan sa Bansang Chile. » Hello, Magandang umaga po sainyong lahat dyan sa Bansang Chile. » CONGRATULATIONS TO STEPHANIE SERIA RÍOS! » HAPPY TRIP AND HAVE A WONDERFUL CHRISTMAS VACATION SIR BERT CASTILLO AND MADAM THELMA!